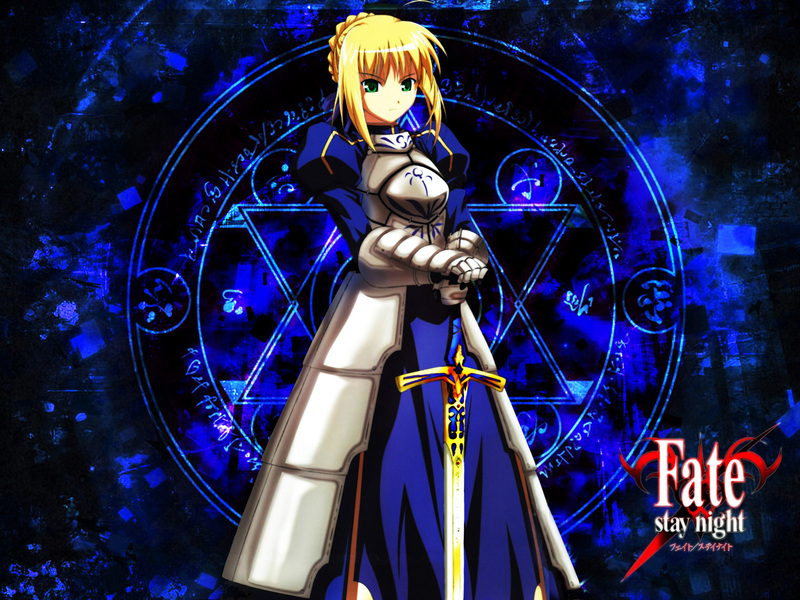 My first attempt on Fate/Stay Night wallpaper. I played a lot of with different concepts for the bg but finally chose to use the ancient magician spells concepts that have in fate. Thx for the scan from the gallery and hope ur guys like it. Well then, any comments, critique, and faves are welcome ! I like blue and this wallpaper isn't so bright so my eyes don't get tired easily. :) Good job. Thank you. Love the color! Saber! Blue!